After a two week out-of-body/out-of-Toronto vacation, I’m finally back into the swing of things, giant workload strapped to my back and a giant coffee permanently melded into my right hand. As much as I enjoyed my first Fashion Week experience and the subsequent comatose week spent in the pseudo sun, I am super excited to be back in the city I love soO dearly. I’m in the final stretch of my educational endeavours, and regardless of the thousand things left to do, reaching mid-April seems like gravy. I’m sure one thousand tears will be shed and multiple all-nighters will ensue, but I like being busy and I’m so excited to get started on L1F3 4FT3R 5K3WL. P.S. : While I was experiencing my out-of-body-I-am-in-Florida coma, I spent like $150 at Lacoste buying various shirts. I am wearing one in these pictures and will probably be wearing another one in every outfit post from now until I graduate. I think I am the #no1fanoflacoste. Are you okay with this sudden turn of events? You can let me know in a sweet and loving comment. By Dani Roche on February 25, 2013 at 5:22 pm | Posted in outfits and tagged blog, canada, H&M, jeffrey campbell x solestruck, lacoste, lacoste live, toronto. 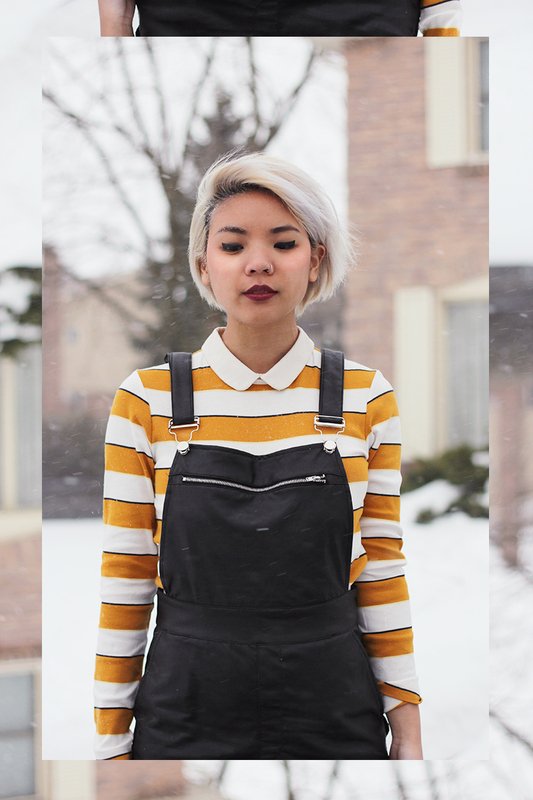 oh these shortalls are perfect, love the pairing with the striped top!